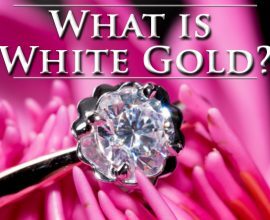 For most of us, including yours truly, staying absolutely on trend every season isn’t practical if our preferred medium is fine jewelry. 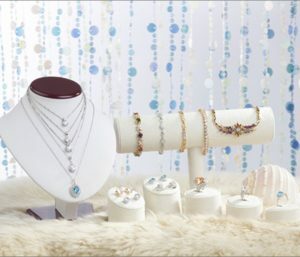 To fill that gap in your jewelry wardrobe, Andre’s Fine Jewelers offers two specific lines of jewelry which marry both modern style and price sensibility. The first of these is our sterling silver collection, which is made for the girl who takes fashion seriously, but likes her personal style to shine through. The second is our Ginger Snaps collection. 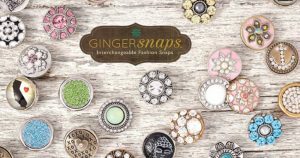 Both the sterling collection and Ginger Snaps can be purchased on our website or in our downtown Brighton showroom; in fact, we are the only place in downtown Brighton where you can find Ginger Snaps. For the girls (and women!) who are heading back to the hallowed halls of education over the next couple of weeks, I thought we should take a look at the back-to-school fashion trends and how we might achieve those looks with jewelry. One of the first things I noticed about the trends that are showing up for back-to-school is the muted metallics. The easiest way to achieve this look in jewelry is with a brushed finish on the metal. I love jewelry with a brushed finish. After so long with the bright and shiny metallics, it is nice to see the fashion industry pushing some muted metallics. If that sounds like something you would like to see in your jewelry box, check out our sterling silver Two-Tone CZ Cross Necklace. This necklace is sterling silver, but it is plated in black rhodium, which downplays its outright shininess. 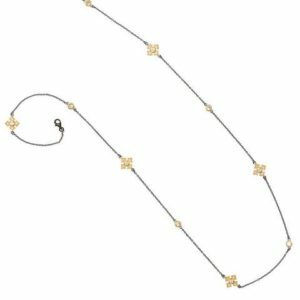 The gold-plated crosses that are interspersed throughout the 36” long necklace are in a polished gold, giving just a little bit of shine. Another couple of trends that caught my eye are bold stripes and denim-on-denim (but not in that 90s-Canadian-tuxedo kind of way). Now, pairing these trends in clothing might be a bit much, but I have my trend-spotting eye on a particular Ginger Snap that will perfectly pair these two. 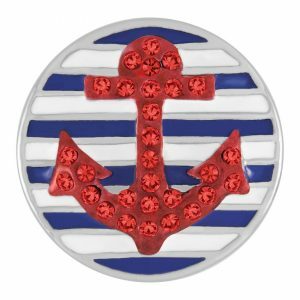 We have a snap that features a bold white and denim-blue striped background with a red rhinestone anchor on it. The nautical motif is quite fetching, and with pattern mixing being another trend, this striped snap will pair beautifully with a lot of different looks. Back-to-school trends are also showing a lot of monochromatic looks. Monochromatic, for those who may not know, is when only one color is used. In fashion, this translates to wearing an outfit comprised of multiple pieces, but that are all the same color. Sometimes, this is challenging, like when you have to match up different tones of black. But when you are going with a color that comes in a lot of attractive shades, like blue, gray, or brown, you might find that a fully monochromatic look is far more interesting and modern than you thought it could be. 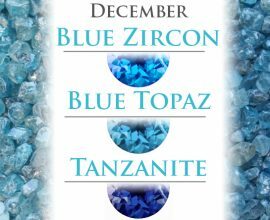 Fortunately, you can carry your monochromatic look through to your jewelry by choosing an appropriate piece of sterling silver jewelry or Ginger Snap. There are more great fashion trends having their time in the spotlight this season, like all-over floral prints (another look EASILY accomplished with Ginger Snaps and our sterling silver collection), glam interpretations of emojis (which we can do with Ginger Snaps Petites…although I would tend to recommend this trend for the younger girl…or the young at heart), and collegiate/sports-themed clothing and accessories (Ginger Snaps has an entire line of NCAA snaps (call or come in to the showroom; these items are special order, so we don’t have them on our website). Staying current with the fashion trends is a pretty common endeavor for women, no matter how old. 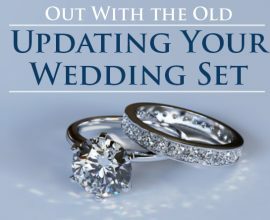 Unless you’re royalty or a celebrity, you probably won’t be adding new pieces of fine jewelry every season. But with our affordable sterling silver collection and Ginger Snaps, our line of interchangeable fashion jewelry, you will be able to achieve any trend, any time, for any price.